Here's another simple one that's buried too far down in Gmail's settings. You can change the size of Gmail's text, if you're so inclined. Just hit the menu button, the choose More, then Settings. Then choose which account you want to change the text size on. 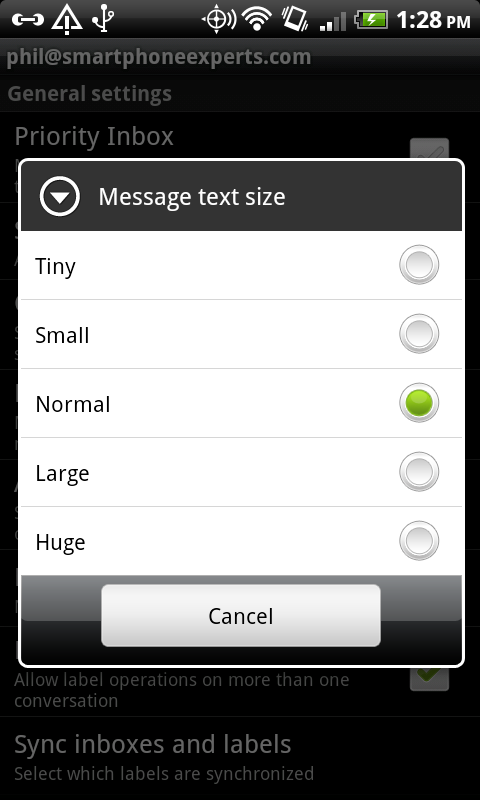 Tap "Message text size," and pick your poison. We have no idea why this isn't a global setting, and you instead need to choose which account you want to change size on. But at least it's an option, right?